Despite being predominantly Muslim countries, Indonesia and Kazakhstan scored differently on religious hostilities by private individuals, organizations or groups in society, according the Pew Research Center’s latest annual study on global restrictions on religion. The study, released on June 23, 2016, showed there was a decline in the share of countries with high or very high social hostilities involving religion, which dropped from 27% to 23%. Pew’s Social Hostilities Index measures act of religious hostility, which includes religion-related armed conflict or terrorism, mob or sectarian violence, harassment over attire for religious reasons or other religion-related intimidation or abuse. Out of the 198 countries included in the study, Kazakhstan were among countries scored low on social hostilities involving religion at 0.0 to 1.4 points while Indonesia were among those scored high at 3.6 to 7.1 points as of the end of 2014. According to Kazakhstan statistics agency, the country’s population was 17,280 million by July 2013 and according to a 2009 census, roughly 70% people in the country acknowledged Islam as their religion, followed by 26% Christian, while about 205 million or 88% of Indonesia’s population is Muslim and both countries’ Muslims adhere to Sunni Islam. The low scores on social hostilities involving religion in Kazakhstan and Indonesia corresponded to another study by Pew in 2012 that asked Muslims in both countries whether suicide bombings and other forms of civilian targets are justified in order to defend Islam from its enemies. In Kazakhstan, 93% said such attacks are never justified and 81% in Indonesia responded the same. But 46% in Indonesia and 28% in Kazakhstan said they were very concerned about extremists religious groups in the country, while 53% in Indonesia and 46% in Kazakhstan said they were mostly concerned about Muslim extremists group. Both countries have also experienced deadly attacks by militants this year. In Indonesia, four civilians were killed in the bomb and gun attack by suspected Islamist militants in Central Jakarta on 14 January. Six people were killed at a national guard base and firearms stores in Aktobe on 5 June and Kazakh government said the attack was carried out by “followers of radical, non-traditional religious movements”, using the term normally refers to Islamist militants in the country, according to a Reuters report. Kazakhstan President Nursultan Nazarbayev’ said in a statement posted in Kazakhstan embassy to Indonesia’s Facebook page on 8 June in light of the attack that his government would “take the most stringent measures to suppress extremists and terrorists” and urged his people to be vigilant, stop all incitement to violent and illegal acts and help the law enforcement agencies. “Extremism and terrorism have threatened the security of not only our country, but also of the whole world. The people of Kazakhstan fully understood the necessity of strengthening the anti-terrorism measures that were taken by the law enforcement agencies across the country following the attacks,” the president said. The attack came just after the country hosted an international conference on religions against terrorism in its capital city Astana on 31 May, with representatives from religious groups and parliamentarians from around the world in attendance. Indonesian politicians from United Development Party (PPP) who are members of House of Representatives and People’s Consultative Assembly, M. Arwani Thomafi and Mukhlisin were among the participants. During the conference, Thomafi said the Indonesian delegation conveyed that Indonesia is no exception in facing terrorism, extremis and radicalism as global threats and its parliament is in the process of revising its counterterrorism law in a bid to make it more effective in preventing and combating terrorism. 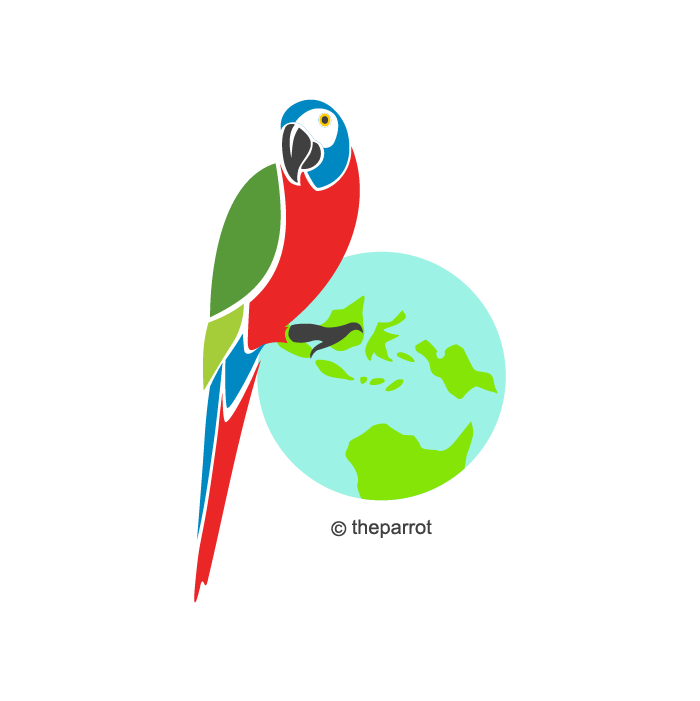 “Indonesia called on the participants to promote and encourage a more moderate religious understanding and a more humanistic religious messages in order to create a peaceful world,” Thomafi told The Parrot. They urged the international community to join efforts to counter terrorism and underline the need to continue the constructive dialogue among parliamentarians and religious leaders and to support President of Kazakhstan Nursultan Nazarbayev’s “The World. The 21st Century” manifesto. President Nazarbayev proposed this manifesto last year during his address at the United Nations General Assembly. It aims to establish a global anti-terrorist coalition under the auspices of the UN and to adopt a UN comprehensive document on countering terrorism, in accordance with the provisions of the Global Counter-Terrorist Strategy and the UN Security Council resolutions. PPP lawmaker Thomafi welcomed the proposal, saying that it was also expressed in the participants’ statement that called on the international community to unite in combating terrorism. In light of fight against terrorism funding and joint efforts to combat terrorism, Indonesia and Kazakhstan have signed memorandums of understanding to cooperate on counter terrorism and exchange of information on money laundering and terrorism funding during President Susilo Bambang Yudhoyono’s state visit to Kazakhstan in September 2013. Listyowati, director of South and Central Asian Affairs at the Foreign Ministry said among the five Central Asian states in Former Soviet Union, Kazakhstan has the strongest commitment for bilateral cooperation with Indonesia, which was marked by President Nazarbayev’s state visit to Indonesia in April 2012. President Yudhoyono reciprocated the visit in September 2013. “It was the first visit of an Indonesian president to a post-Soviet state since President Suharto visited all five post-Soviet, Central Asian states in the 1990’s,” Listyowati told The Parrot. Thomafi said the conference demonstrated that global political and religious leaders now had more concerted efforts in preventing facing terrorism, extremis and radicalism. He also said he could conclude from the congress both Kazakhstan’s executive and legislative branches have a strong commitment in combating terrorism. “It is evident in Kazakhstan being able to convince international figures of its efforts, not just being an initiator but also as a global pioneer, in combating terrorism,” Thomafi said. Given its regional leadership and geopolitical situation that borders China and closely neighbors with Afghanistan, Listyowati said the country has a role to play in maintaining regional stability, which would impact on Indonesia. “We also take into account the role of Kazakhstan and other Central Asian states to voice the interests of Muslims countries to the world,” Listyowati said. Jailed radical cleric Abu Bakar Ba’asyir, who is serving a 15-year jail term for supporting a militant camp, received a five-month sentence cut earlier this year for good behaviour, his lawyer said. “He had his sentence cut in February. Those who are granted prison sentence cuts must have met the requirements, including good behavior,” Ba’asyir’s lawyer from the Muslim Defenders Team (TPM) Achmad Michdan told The Parrot on Tuesday. Penitentiaries directorate general official had said Ba’asyir, who was convicted of supporting militant training in Aceh in 2010, did not have his sentence cut earlier because he had not served at least a third out of his prison term. Sentence cuts are normally granted to convicts on religious holidays and Independence Day. Ba’asyir was transferred to Gunung Sindur prison in West Java from the Nusakambangan prison island on April 16 so that the ailing 77-year-old cleric could receive better medical treatment. His lawyers claimed that Ba’asyir was treated inhumanely in Nusakambangan and was kept in an isolation cell, preventing him from praying with other inmates including the obligatory Friday prayers for men. “How could a [Muslim] man be banned from performing Friday prayers?” another TPM lawyer Akhmad Kholid said. “He is just an old man who doesn’t want to engage in violence. He is actually very tolerant when it comes to worldly stuff. He only strongly protested recently because he was not allowed to pray,” Akhmad added. Chief security and political affairs minister Luhut Pandjaitan rejected claims that prison warden had denied Ba’asyir’s right to perform his religious rituals. During a press briefing last week, Luhut showed journalists photos of the cleric’s cell block in Gunung Sindur, which he said was spacious enough for him to pray and “sit for a cup of tea”. “Don’t report as if we violated his rights to pray. It was not like that at all. We only enforced prison regulation. He was not barred from praying, we just didn’t allow him to give sermons to his fellow inmates and previous experience showed it caused radicalisation,” Luhut said. Bashir was in the process of court hearings in Cilacap, Central Java to challenge his sentence. The first hearing took place just two days before the suicide bomb attack in Jakarta on January 14. Police said the perpetrators were former jailed militants who were radicalized during their incarceration. Akhmad denied that the attackers had visited Bashir in Nusakambangan before bombing a Starbucks café and a police station in Central Jakarta. “He was taken to an isolation cell after attending a court hearing in February and remained there until he was transferred to Gunung Sindur,” Akhmad said. Indonesian police have named a convicted terrorist, Afif Sunakim, as one of five perpetrators of Islamic State-linked bombings and shootings in Jakarta that killed eight people, including four attackers, last month. Indonesia is considering amending its counter-terrorism laws to respond to the phenomenon of returned foreign fighters from Syria. But fighting terrorism purely through security measures will not be enough. Indonesia should devise policies to rehabilitate and monitor former convicted terrorists to prevent recidivism. The government should also work with civil society to counter the spread of extremism online. The Indonesian police have arrested more than 1200 people on terrorism charges, according to data from the counter-terrorism unit. Some convicted terrorists seemed to become more radical behind bars. At least 40 convicted terrorists have re-offended after release. Afif Sunakim was arrested in 2010 and sentenced to seven years in jail for his role in a militant training camp in Aceh. In prison, he became the masseuse for Aman Abdurrahman, one of Indonesia’s most influential jihadi ideologues and a vocal promoter of Islamic State (IS). My series of interviews with terrorist recidivists suggests that the majority of them believe that jihad is a religious obligation. In a purely linguistic sense, the word “jihad” means struggling or striving. It can refer to the internal as well as external struggle to be a good Muslim. However, for terrorists, jihad means to fight against Indonesia’s secular regime. There is a common understanding among jihadists that if they are imprisoned, they are simply taking leave. Upon release, they will be ready to rejoin the movement. With this kind of belief, no matter the situation former terrorist inmates face, there is a big chance they will return to their terrorist groups and carry out further attacks. A prominent terrorist, convicted in 2004, is an example of such recidivism. He was released in 2008. He was then involved in weapons training in Aceh in 2010. In his opinion, as long as what he believes in is right, he will have no other option than to act, whether inside or outside prison. He said: A committed mujahideen will not be limited by any condition or situation beyond himself. Additionally, there is a desire among convicted terrorists to experiment or retry what they failed to achieve. A convicted terrorist now on the run after a prison break in Medan was involved in the Lippo Bank robbery in Medan in 2003 and again in the CIMB Niaga Bank robbery in 2010. He said: If jihad acts fail, it is most likely that improved jihad acts will be tried again later. The choice for a released convicted terrorist is stark. Do I return to the pathway of jihad or do I re-enter society to follow a normal life? If he lives in a difficult social and economic situation, with a lack of education and a family that does not support him, it is most likely that a former terrorist inmate will return to the jihadist community, where he will be protected and cared for. A 2013 report by the Institute of Policy Analysis of Conflict showed that Indonesia’s judicial system has insufficient funds, infrastructure and resources to handle the successful rehabilitation of former terrorists. This lack of post-detention care leaves terrorist inmates at risk of returning to violence, because they are not being properly assessed. They do not receive sufficient re-programming to prepare them to return to mainstream society. Indonesia needs to set up special placement, supervision, development and rehabilitation programs for former terrorists. The government must train corrections officers to actively engage with former inmates, to support them in finding a new calling in life and to mentor them while doing so. The second challenge is to stop IS spreading extremism over the internet. IS propaganda has created a hype and fad among Muslim youths around the world about a fantasy idea that violent armed struggle against non-Muslims and Muslims identified as “enemies of Islam” is a “jihad” that requires urgent participation. IS has also created a false hope and a perception that the perfect government system based on the purest Islamic principles has been implemented and is working – but that it still requires Muslims from “impure” Muslim and non-Muslim lands. Until now the Indonesian government – let alone civil society – has made no systematic effort to challenge the arguments of jihadists on social media. The jhadists are cleverly targeting individuals at risk, mainly young people. These at-risk people tend to spend their time online rather than offline and enjoy being “liked” on Facebook. If extremists have successfully employed social media to spread their message on Facebook, Twitter and YouTube, we also need to create a campaign on social media to counter their movement. We can take a closer look at how “creative” extremists use technology to spread their ideology by monitoring their videos and reading their tweets and online posts. With the help of civil society, the Indonesian government could launch campaigns on social media to challenge the extremist narratives. Terrorism is rooted in a belief in an extreme ideology. If we want to prevent acts of terror from happening again, we should strive to prevent the young from being won over by extremists’ messages. We should also find a way to change the minds of those convicted of terrorism so they will not return to their old ways. Jakarta police on Sunday revised the number of civilians casualties in Thursday’s bombings to four after one of the wounded victims who was hospitalised died late Saturday. Jakarta police spokesman Muhammad Iqbal said Sunday the latest fatality was a man identified as Rais Karna. He was a bystander and had worked in a local branch of Bangkok Bank. Iqbal said Rais died Saturday evening at 9.30 PM at Abdi Waluyo hospital in Menteng. Rais was shot in the head and he had been in a coma ever since the attack. The other three civilians killed in the bomb and gun attack by suspected Islamist militants in Central Jakarta were a Canadian national identified as Tahar Amer-Ouali and two Indonesians identified as Rico Hermawan and Sugito. Police said CCTV recording showed Rico was heading towards the traffic police post on Thamrin Street’s median strip with a policeman, who was issuing him a traffic ticket, when the post was blown up by a bomb attack. National Police chief Badrodin Haiti had earlier said they had identified four of those killed on Thursday as attackers but they were not sure whether another body identified as Sugito was also an attacker or a bystander, however, Iqbal later confirmed that Sugito was a civilian. “The total fatalities now increased to eight, four were civilians while four others were the attackers,” Iqbal said. Police identified one of the four attackers as Afif, who was also known as Sunakim. He was photographed aiming his gun towards the police in the middle of Thamrin street, just right in front of Sarinah department store. Police said he had been sentenced in 2010 to seven years in prison for being involved in a paramilitary training camp in Aceh, but was given early release. Head of police forensic team Musyafak also revised the number of victims wounded in the bomb attacks to 26, including five policemen and 10 of them have been released from the hospitals. The attackers blown up a Starbucks cafe in Menara Cakrawala building next to Sarinah and a traffic police post, shot policemen as well as bystanders and involved in an ensuing gunfight with the police for four hours.